I recently acquired two new tech accessories I want to share with you! IPAD: I wanted a dedicated pocket for my iPad Air 2, and this bag includes a nicely lined one of these, too. BAGGAGE LOOP: The back of the STM Aero includes a luggage handle pass-through on the back to make it easy for me to carry it on top of my roller bag when I need to. KEY STRAP: One thing I always worry about when traveling is misplacing my car keys. The STM Aero includes a strap and hook for attaching my keys! INSIDE SPACE: The STM Aero is not very deep, but I can easily fit my technology accessory bag with the adapters, power supplies, extension cord, and additional items in the space. 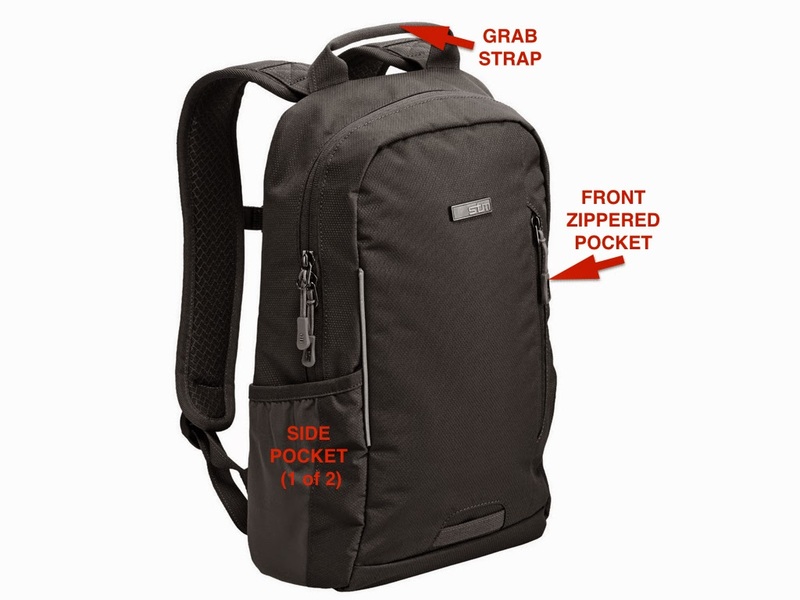 SIDE POCKETS: I often carry a water bottle, so a side pocket is a necessity for me. This backpack has 2 side pockets, so I am using the other one for easy access to my in-ear headphones. 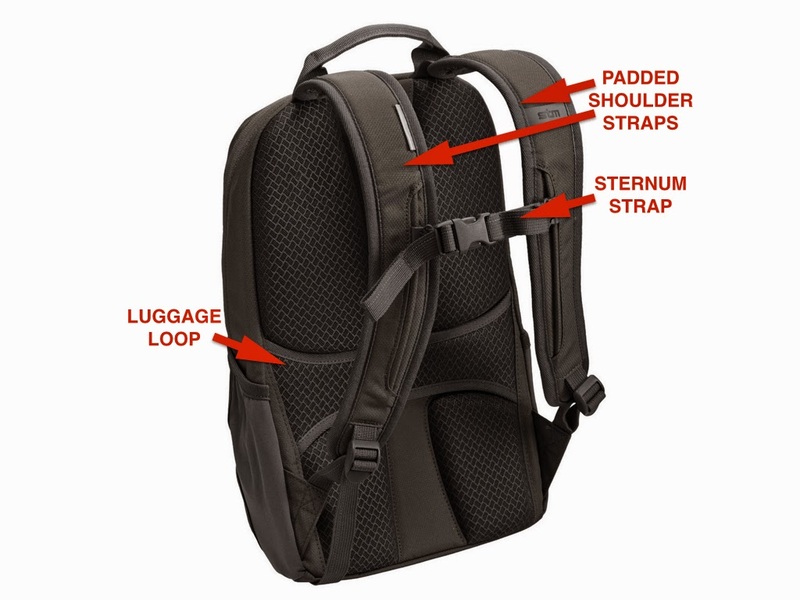 STRAPS: The STM Aero has comfortable, padded shoulder straps and back, and also includes a "sternum strap" that connects the straps in the front in case I am carrying a heavier load. There is a grab strap at the top of the backpack which makes it easy to carry down the plane aisles. FRONT POCKETS: The STM Aero has a zippered, soft-lined pocket on the front which includes two slip pockets (one that I use for my iPhone 6+ and the other for my Wayfarers) and I store my boarding pass in the larger section for easy access to it. INSIDE POCKETS: Inside the STM Aero, there are three more slip pockets, two pen slots, and a deep zippered pocket. I marked up some STM Aero images so you can view the components I included in the review. 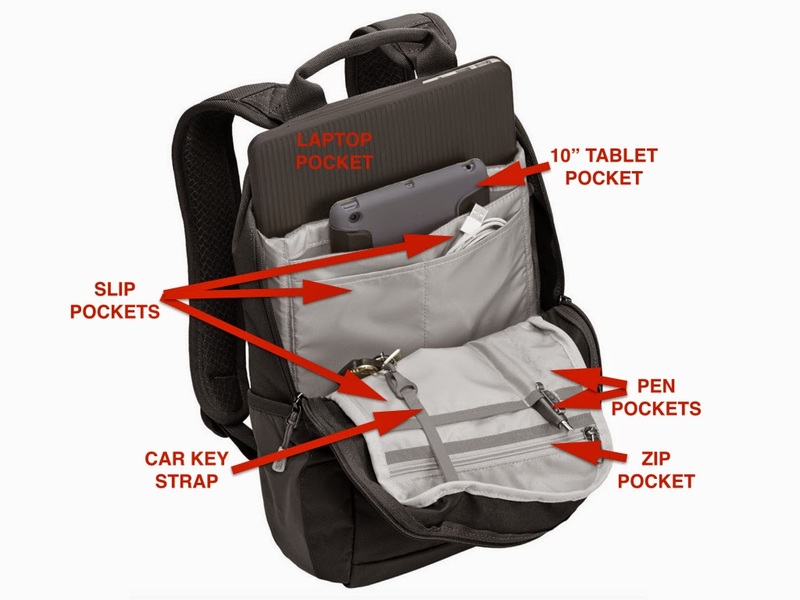 When fully loaded, the STM Aero Small Laptop Backpack retains it shape and is very comfortable to wear. If you need more space for your items, check out the larger laptop bags and rollers on STM's site! I know we already have iOS and Android devices with drawing tools and external art/drawing tablets. And there are electronic pens that can collect your notes and send them to your computer when you use special notebooks for taking notes. I had read some reviews about the Equil Smartpen 2 and thought it hit the sweet spot for both notetaking and drawing in a more traditional way. The Equil Smartpen 2 includes a reciever that you clip to any piece of paper, pad, or notebook, a regular size pen, and extra pen tip, and a cool case for carrying and charging. As you are drawing or writing, and you are connected via Bluetooth to your Mac or Windows computer or iOS device, what you are drawing is transferred in real-time to the computer or iOS or Android device. You can then turn handwriting into text if you want to on the computer or tablet. It is easy to begin new "virtual" pages by pushing the button on the receiver. The receiver can hold 4 GB of information. The notes are synced across your devices using iCloud, Dropbox, or Evernote and also share with social media. I can't seem to locate a stylus tip for the pen to use with the iPad as shown in the video. (Perhaps that was scrapped during development.) You can find out more about the Equil Smartpen 2 on their site!